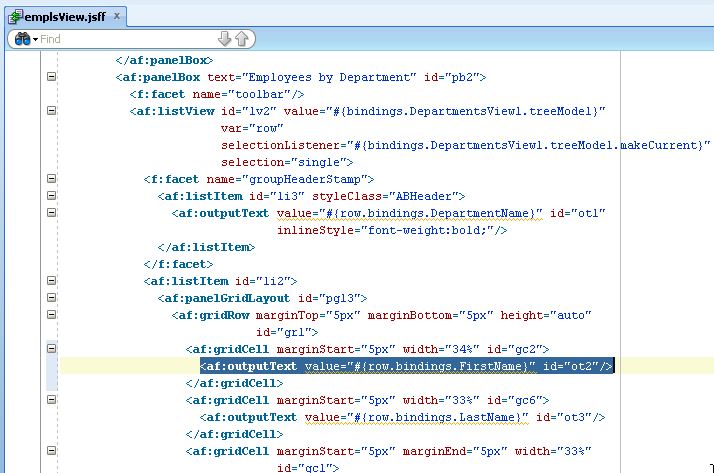 I'm very excited about ADF PS6 release, it brings new freshness and coolness feeling to ADF. ADF Faces runtime performance seems to be incomparable faster and much more responsive comparing to previous ADF 11g R1 and even ADF 11g R2 releases. 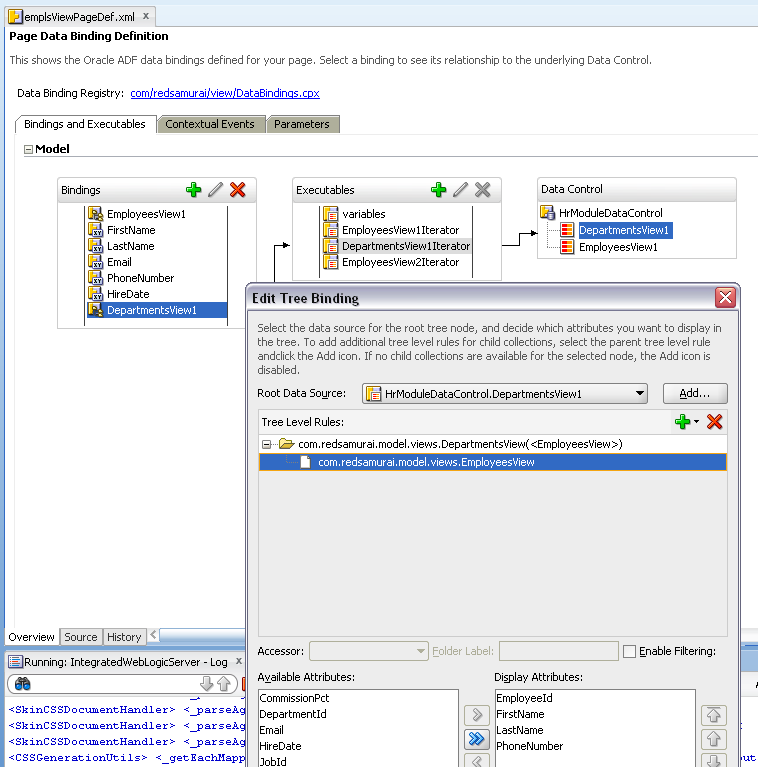 This gives good hopes to expect the same improvements in ADF 12c. 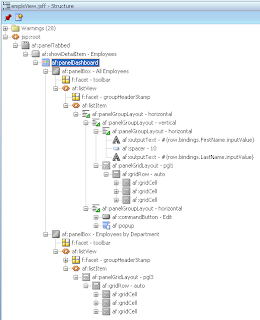 There is new ADF Faces component introduced - List View. You can think about it as about much more liberal ADF Faces table component. 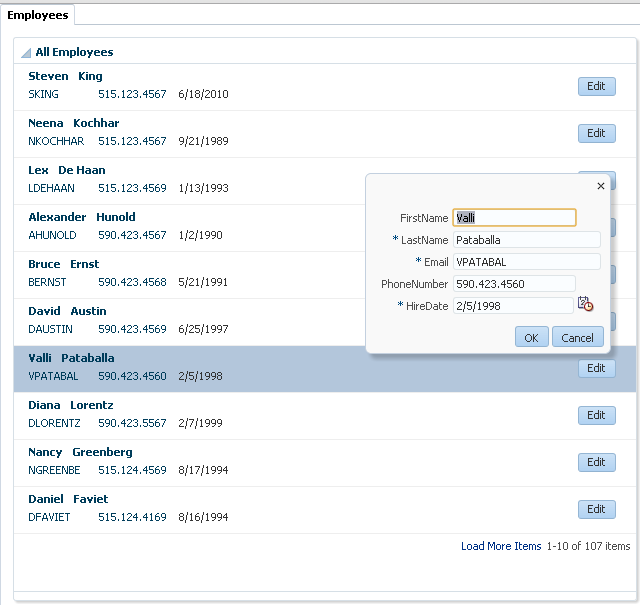 List View renders data collections but there is much more control and flexibility how data collection is presented visually. If you need to render strict tabular data - ADF Faces table is the most suitable, List View is for something less structured. We could achieve up till now similar layout as List View with custom implementation using ADF Faces iterators or for each tags. Of course it is much easier now to use out of the box List View tag - Displaying a Collection in a List. 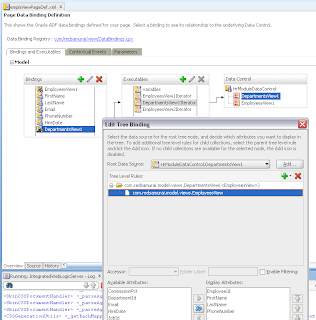 I have a requirement in BPM where i have to open BPM worklist application from a custom ADF page when a user clicks on a link in the page. 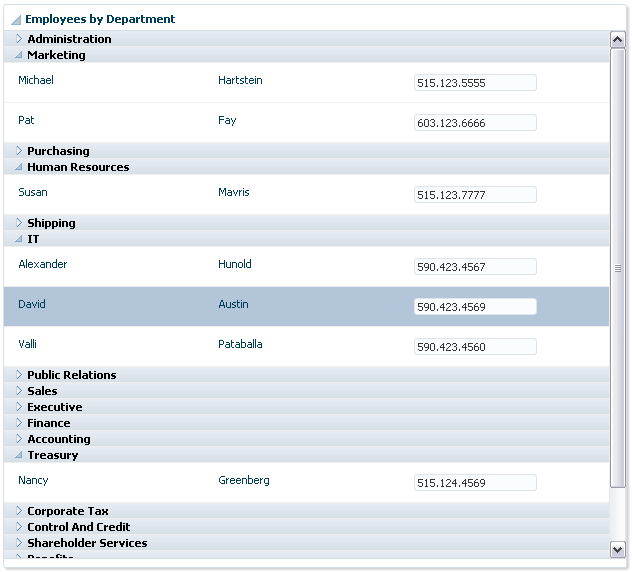 also the worklistapp should display taks specific to the user . thanks for the wonderful topics you post in your blog i got very good skills from your topics. You are using wrong JDEV version, PS6 (Patch Set 6) means 11.1.1.7.0 (release). I'm frustrated with this myself. R1 gets more functionality updates because Oracle Fusion Apps still using it. But on other hand ADF Mobile and ADF Essentials are available in R2. Does the list view support Search/Sort and Pagination? Keep in mind this is not a table. Pagination is supported. 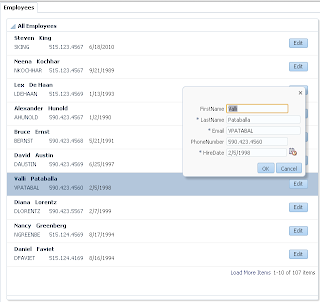 Search can be implemented with View Criteria. Sorting is not supported as far as I can see. 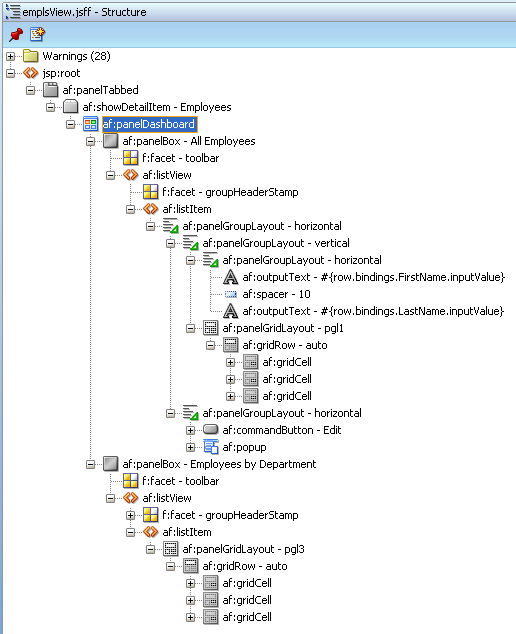 When I tried to implement the hierarchial list view, only the infro from the groupHeaderStamp was displayed. The detail regions were not displayed. Any idea what I could be missing here ?Please help. You should double check my sample app - as you can see it works there. I am facing a kind of cache issue in list view. I select a row in the list view and navigate to some other page and then come back. Even though I have not selected the same row, the same remains highlighted. I want to select the first row always. 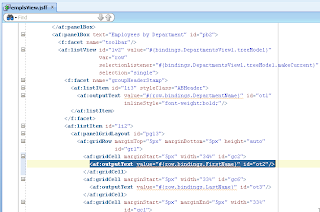 In ListView, not all the rows are getting displayed. the last row is usually cut and displayed half. Any solution to this? Can a vertical scroll bar be added in listview? If no, then what else can be done here? Now the app is not available for download. Can you pls help? Can we convert an application table to a list view ? 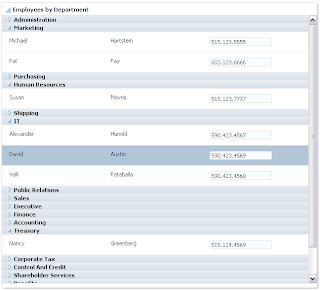 Application table could be an editable table with form elements. In such case we cannot cache the older records in the client side? Is pagination essential for such cases? In one blog, I see an editable popup on the click of a button, Without pagination , if there are 1000's of rows, then there would be so much form elements in HTML and leads to a bulky POST. How to handle this?